'The City of Lights' or 'The City That Never Sleeps', call it what you want, but this city is one of its kind. Built in the desert in the middle of nowhere, Vegas is now an empire home to partying, relaxing and shopping. 24-hour casinos, hundreds of hotels, clubs, bars and shopping malls, there is definitely something for everyone. Each hotel on the famous strip, Las Vegas Boulevard, has a different theme designed to make you feel like you are in another world. 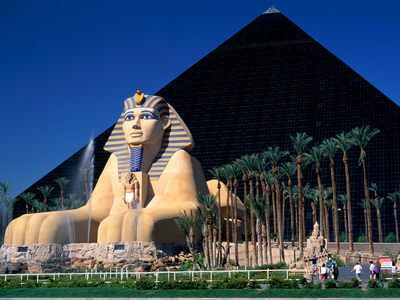 If you want to be in Paris, visit Paris Las Vegas, if you want to go to Egypt, visit Luxor. Attention to detail in every hotel is second to none. You will be amazed what this city has to offer. Some may say that Las Vegas is only for adults and singles who want to have fun, however Las Vegas can be explored no matter if you are with your friends or your family. This city has created fun for everyone. A very popular hotel on the Vegas Strip for a boys stay in Vegas is none other than Caesar’s Palace. Made popular by the movie The Hangover, any group of boys will love this amazing hotel filled with many great bars and clubs to keep them busy. Hard Rock Hotel is another popular hotel located off the main strip (4455 Paradise Rd., Las Vegas, NV‎) which is well known for it’s clubs and day party Rehab which occurs every Sunday in the Summer. There is no other place to stay if you are with the girls than The Cosmopolitan. When you walk into the chic hotel, you will be in the presence of opulent crystal chandeliers that twill make you feel like you are in the presence of royalty. The hotel offers luxury spas, great shopping malls and excellent pool and cabana facilities. Mandalay Bay is a very popular hotel for families as it offers child friendly activities including a great shark reef and wave pool. Other family friendly hotels include Treasure Island and Excalibur, which offers a fun dungeon arcade for children of all ages to enjoy. Want to stay somewhere romantic? 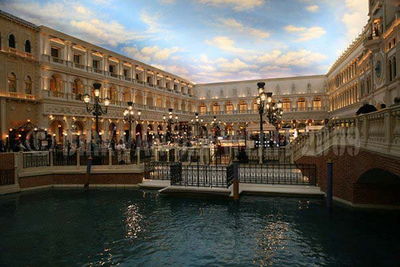 Paris Las Vegas, The Venetian and Aria Resort all offer luxurious suites, and were all built with romance in mind. Each have excellent services and have great facilities for shopping and relaxation. There are many great shows on offer to enjoy in Vegas including the range of Cirque Du Soleile Shows, Music concerts including Britney Spears and Shania Twain and Broadway classics such as Wicked and Jersey Boys. There is something available for people of all ages, click here to view what is playing when you are visiting. Don’t forget about all the shopping that can be done in Vegas. 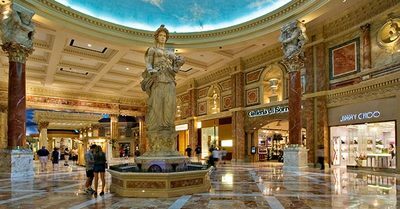 There are shopping malls in many of the hotels, however Vegas also holds the keys to two great outlets - North (875 S Grand Central Pkwy, Las Vegas, NV) and South (7400 Las Vegas Blvd South) Premium Outlets. Both are very easy to get to by public transport. Buses come regularly on Las Vegas Boulevard or catch a taxi for a small fee. Whether it is shopping you want, relaxation or nightlife, everything is easily accessible in the city of lights. Enjoy what the city has to offer no matter whom you visit with.